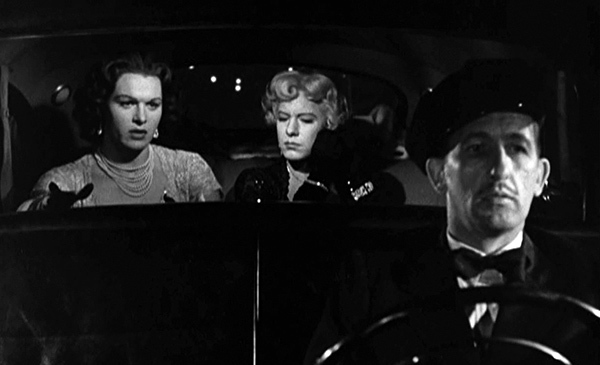 One of the best femulations in vintage film (IMHO), No Questions Asked is on TCM at midnight (Sunday morning). The femulators' getaway in No Questions Asked. I'm lucky since I'm on the west coast it airs at 9:00. I've set an alarm! I DVR'd it. Love some of these old Film Noir. As we discusses before Stana, the women had such GREAT clothes. I love the evening gown Jean Hagen wore to the theater in this film! I think it may be shown again at 10:00 eastern.